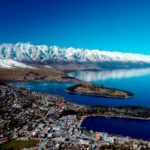 New Zealand’s South Island hosts some of the purest natural landscapes you’ll ever experience, from wildlife to wineries, from glacial valleys to star-filled skies, nature’s best flourishes against dramatic scenes. 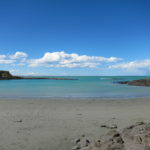 It is the biggest island of New Zealand As compared to North Island. 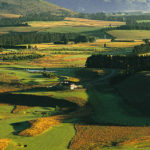 It boasts of the purest landscapes and star-filled skies in New Zealand. 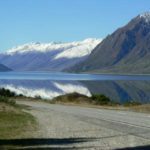 Occupying the largest landmass, it is home to many natural attractive sites such as the Alps. Other activities include swimming, fishing, skiing, walks on the trails and much more. 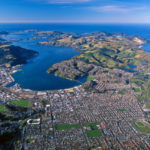 Being the largest, it has the most number of ports as compared to North Island. The ports are used for transportation of various commodities within New Zealand and abroad. 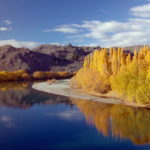 South Island is known as a wine-making region due to Central Otago. 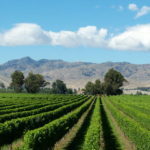 The wine produced in Alexandra is supplied all over New Zealand and exported to other countries via shipping containers. Therefore, there are a lot of ISO standards that are followed to the letter to ensure proper and smooth transportation. The tank shipping containers must be made of 304 and 316 which make the cleaning and polishing of the tank very easy. The Air inlet valve at the top of the tank container is used for loading. This inlet valve acts as a pressure and recovery device during the loading of material into the ISO tank. The complete three closure system ensures that there are no leakages in the tank during transportation. This is done by a process called pressure testing which involves confirming that all the valves are operational. The temperature of the wine during transportation is very necessary therefore there is a temperature gauge to monitor the readings. On the other hand, it is also known for the portable accommodation built from containers. Although there are a lot of policies concerning this approach, the concept is creative and provides a lasting solution. There are many cases where the people have not been able to afford to pay rent for their homes. 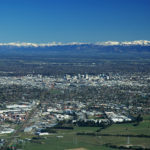 The real estate in South Island is developed but not diverse enough for all income earners. As a result, the construction companies in the area have been forced to add building container homes into their portfolios. Once the shipping containers have been declared safe for human occupation, the construction company goes ahead to request a development application. 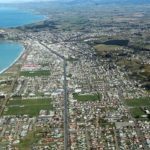 If all is well according to the town’s shire, then the developer goes ahead to construct a home from a shipping container. Of course, the design and materials used solely depend on a budget of the customer. 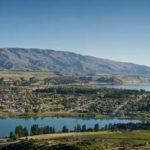 Lastly, the government of New Zealand has been engaged in talks with the town’s council of the different regions in south Island. 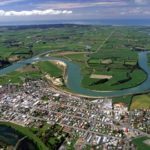 These discussions are expected to help them come up with ways of improving the shipping industry in both South and North Island. The two Islands need policies that will govern the growing number of businesses which are exporting and importing products. Also, the policies will make the lives of the farmers in the area much better regarding handling their farm produce and managing post-harvest losses. Recently, the government announced the sharing of shipments in the two Islands. 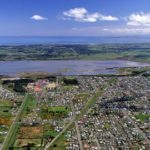 This announcement took the locals by surprise but nonetheless is expected to bring about positive results in the shipping industry of New Zealand.